Have you been glued to the TV, watching the Royal wedding? I have...every single second! 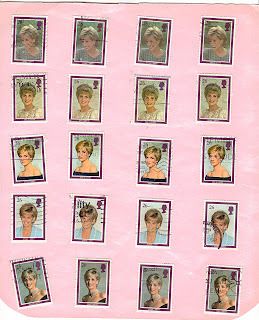 To celebrate, I have finally decided to list my Princess Diana stamps on eBay - 3 sheets (pink) of stamps, 20 on each sheet, so 60 in total. 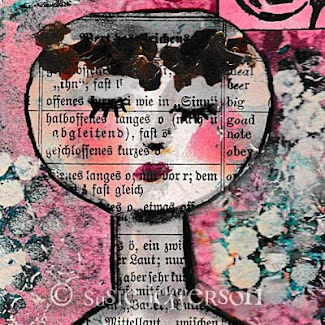 Perfect for collectors, collage or altered art etc etc. I have been hoarding these for ages, but finally decided to bite the bullet... time to let go, and let someone else enjoy them. Also the start of my next massive clearout at home. The perfect way to commemmorate a Royal wedding day! Yes, I was watching part of it...Loved it! The dress and tiara/veil were stunning. Yes I watched it all and loved it all - from Princes William and Harry leaving Clarence House in the morning to Prince William driving the oh-so-very-beautiful Kate in the Aston Martin (with all those balloons etc) away from Buckingham Palace. Perfect day (and the sun came out and the rain stayed away). It was such a lovely wedding and I wish them much love and happiness always! Happy Pink Saturday! So fun watching and wishing them well... I believe there was such lovely energy for them from all around the world... good things will certainly happen their way. 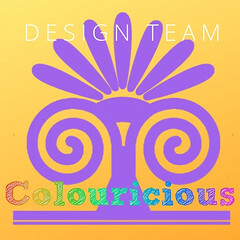 Enjoy your weekend and as you visit all of us Pink friends. Yes, Susie, I've watched it and was wishing Wills' mother could have been there too! She would have been so proud of her boy today! 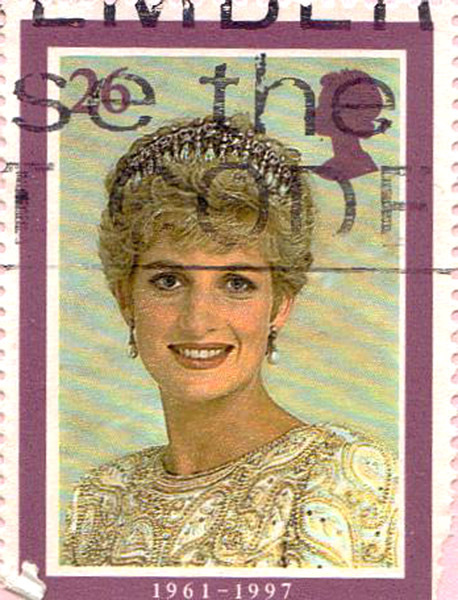 Love that last stamp of Diana! Happy Pink Saturday! I watched every minute of it. Just fabulous - the dress, the music was awesome - the whole lot. I was up before 5 a.m. and watch for most of the morning, a wonderful wedding. 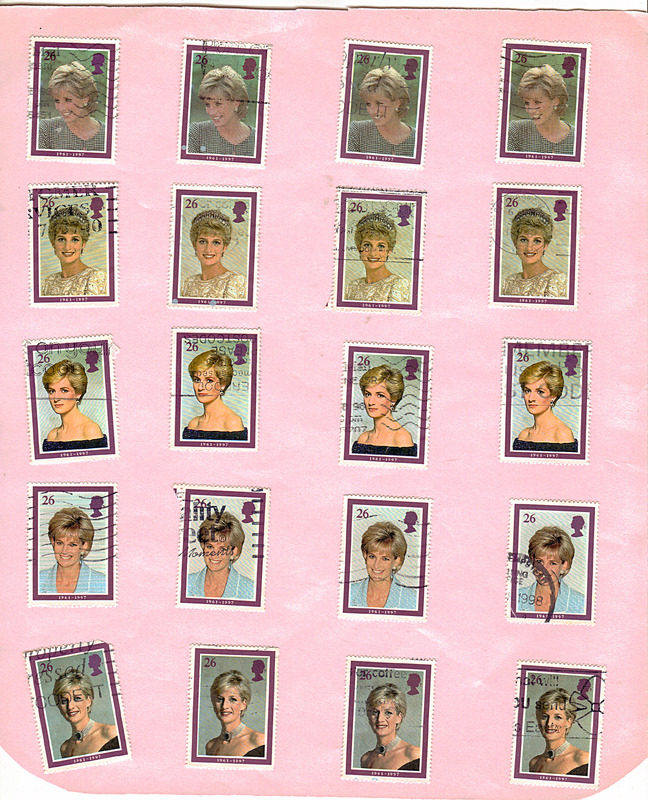 Pretty pink stamps. Have a happy PS. So true, how you can never have too much of a good thing! And this young couple seems to be really avidly listening to the public. Very nice to see them so happy! It was indeed a wonderful moment. Love the wedding dress, ceremony and the church music. What a beautiful share my sweet friend. I love the photos of our new royal family. I SO enjoyed the wedding as well. I got up at 1am and spent the morning watching and loving every minute of it. 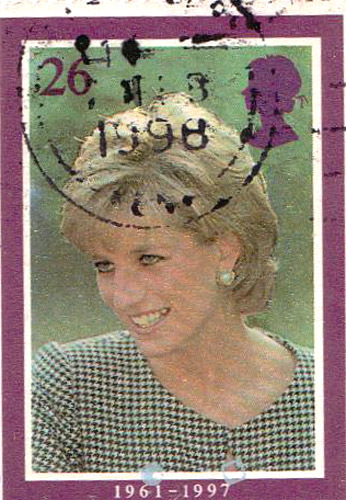 I just know Princess Di was SO proud of her 2 handsome sons. They looked so handsome did they not? Kate is such a beautiful addition to the family. I can't wait to see their family grow. 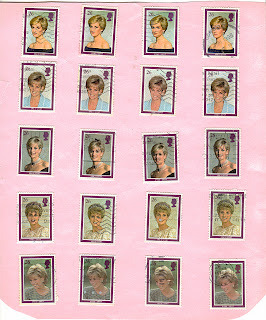 Your stamps are so exquisite. They will sell fast sweet one. You picked the perfect time to list them. She was in so many hearts today as these vows were exchanged. I think it has been on for 18 hours now. Finally sat down to watch without working. Alexander McQueen is my fave. Sure wish he could have seen this. We are somewhat settled and I am sorting and selling, too. 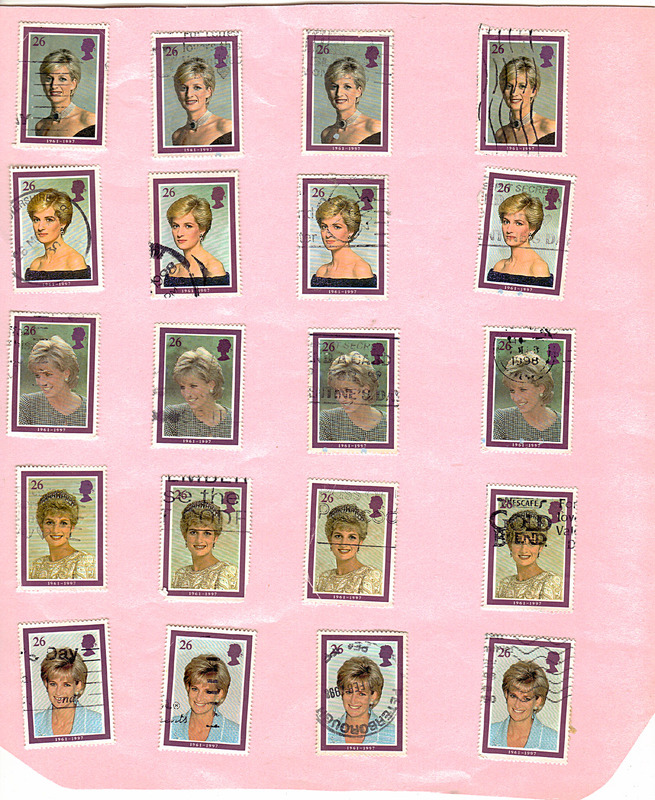 Wonderful stamps! i just so happened to DVR the wedding. Lovely. Great photo's and Happy Pink Saturday. Happy Pink Saturday, Susie. 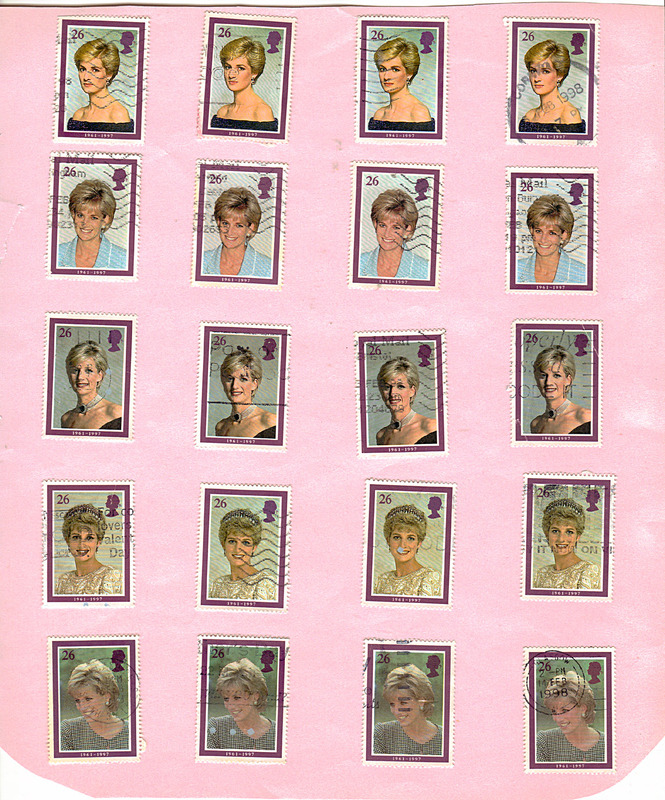 Good luck with your stamps. I am sure someone will scoop them. I loved the wedding, too. In fact, I took the day off of work so I could watch. I am such a sap when it comes to weddings. Exquisite elegant wedding with warmth, unusual for the royalty! Kate is pure class. Diana enjoyed with pride this beautiful union & day. Your stamps should be gone in a flash! The wedding was amazing. It is so wonderful to see how in love they are. I watched the wedding too. 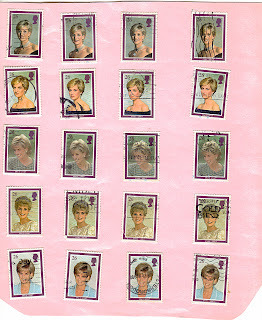 Good luck selling your stamps on E-bay. I'm sure someone will be very happy! NO COMMENT - I'M SULKING! CRAFT STAMPER MAGAZINE - FREE DOWNLOAD!